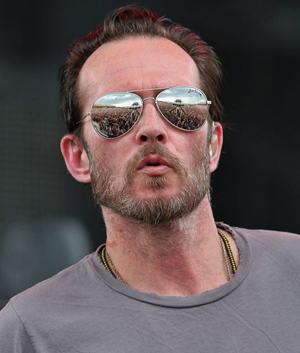 Sources close to KNAC.COM have told us that former STONE TEMPLE PILOTS front man Scott Weiland was found dead this evening on his tour bus by his personal manager. Although no cause of death has been revealed, Weiland has infamously fought addiction for years. "Scott Weiland, best known as the lead singer for STONE TEMPLE PILOTS and VELVET REVOLVER, passed away in his sleep while on a tour stop in Bloomington, Minnesota, with his band THE WILDABOUTS. At this time we ask that the privacy of Scott’s family be respected." Weiland and his band, THE WILDABOUTS were scheduled to play Rochester, Minnesota tomorrow night in support of their debut album, Blaster. No further details are available at this point. Keep checking back for more.